Most people understand that films like AVENGERS: ENDGAME, Jon Favreau’s THE LION KING and the December release of STAR WARS: EPISODE IX are going to make money. Like, lots and lots of money. That’s a given. 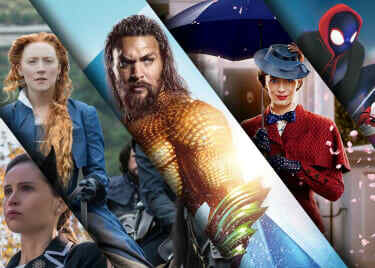 But how many movies on the 2019 release calendar are poised to be sleeper hits? 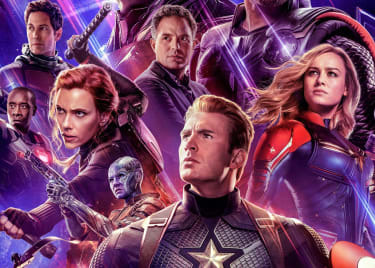 Which films might take the industry by surprise when they open in theatres, developing huge fan bases and heralding a passionate response, potentially setting the box-office charts on fire? 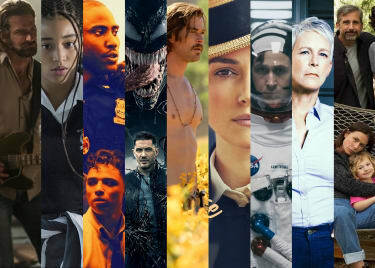 We went ahead and scanned the 2019 release slate and found six movies with the potential to outperform expectations this year. Put them on your radar. No one’s sleeping on Jordan Peele, not after he impressed audiences and critics with the chilling sociopolitical horror GET OUT. That movie earned four Oscar® nominations and took home the Academy Award® for Best Original Screenplay. Peele follows up GET OUT with the similarly eerie US, where a vacationing family is confronted by evil twin versions of themselves. 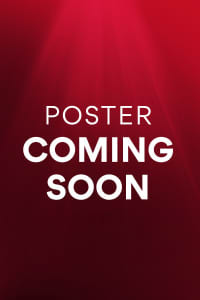 It opens in theatres on March 22. We love heady, challenging sci-fi, and James Gray’s AD ASTRA looks like it could be this year’s ANNIHILATION or THE FOUNTAIN. Granted, those movies didn’t break the bank when they came out. But with Brad Pitt in the lead role, AD ASTRA might sneak up on audiences. Pitt plays an astronaut embarking on a trip to the outer reaches of the galaxy to find his lost father (Tommy Lee Jones). It finally reaches the big screen on May 24. What if Superman was evil? 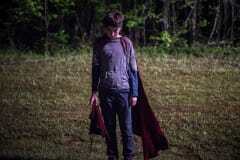 That’s the basic premise behind David Yarovesky’s BRIGHTBURN, which takes the Superman origin story — right down to the Midwest location and the imagery from DC Comics — but has the super-powered alien using his abilities for evil, not good. 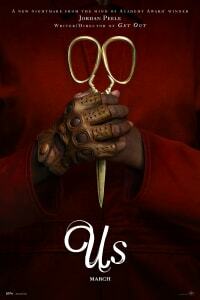 We’re excited because James Gunn (of GUARDIANS OF THE GALAXY fame) is producing. Also, the first trailer looks incredible. 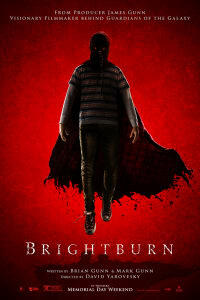 BRIGHTBURN opens on May 24. Musical biopics are the rage at the moment. (See BOHEMIAN RHAPSODY in theatres if you haven’t yet had the chance.) So, we’re willing to bet that audiences will flock to multiplexes to see ROCKETMAN, which casts Taron Egerton in the story of pop-star pianist Elton John. The legendary songs alone should sell tickets, but ROCKETMAN also has Sir Elton’s full support, so expect positive vibes when the movie opens on May 31. The plot of THE KITCHEN sounds very similar to WIDOWS, which is a spectacular drama that deserved more attention. Let’s hope audiences don’t make the same mistake on this story, which casts Melissa McCarthy, Tiffany Haddish and Elisabeth Moss as the wives of Irish mobsters who take over organized crime operations in the 1970s. This was a Vertigo comic book miniseries and could be both gritty and funny, if director Andrea Berloff handles the material properly. After helming LOOPER and STAR WARS: THE LAST JEDI, Rian Johnson probably needed to take a break from big-budget science-fiction, so he reverted back to the murder-mystery whodunit genre that he perfected back with BRICK. We know next to nothing about KNIVES OUT, except for the fact that its killer cast includes Daniel Craig, Toni Collette, Chris Evans, Jamie Lee Curtis, Lakeith Stanfield, Michael Shannon and Don Johnson. We’ll have to wait until November 27 to see what Johnson has in store for crowds, though.